Kia-ndutu is located in Nairobi, and CARE for AIDS opened a center in partnership with Full Gospel Church in 2013. Of all of the communities in which we work, this is one of the least developed and most impoverished. Bernard and Loise Mary have faithfully serves as center counselors in Kia-ndutu since the center launched in 2013. Lois Mary has been with CARE for AIDS since the opening of the center in Kia-ndutu in 2013. Louis joined CFA as an opportunity to live out her calling to serve others. Bernard joined the CARE for AIDS team in 2014 after a career in sales. He enjoys serving in his community through being a CARE for AIDS counselor. 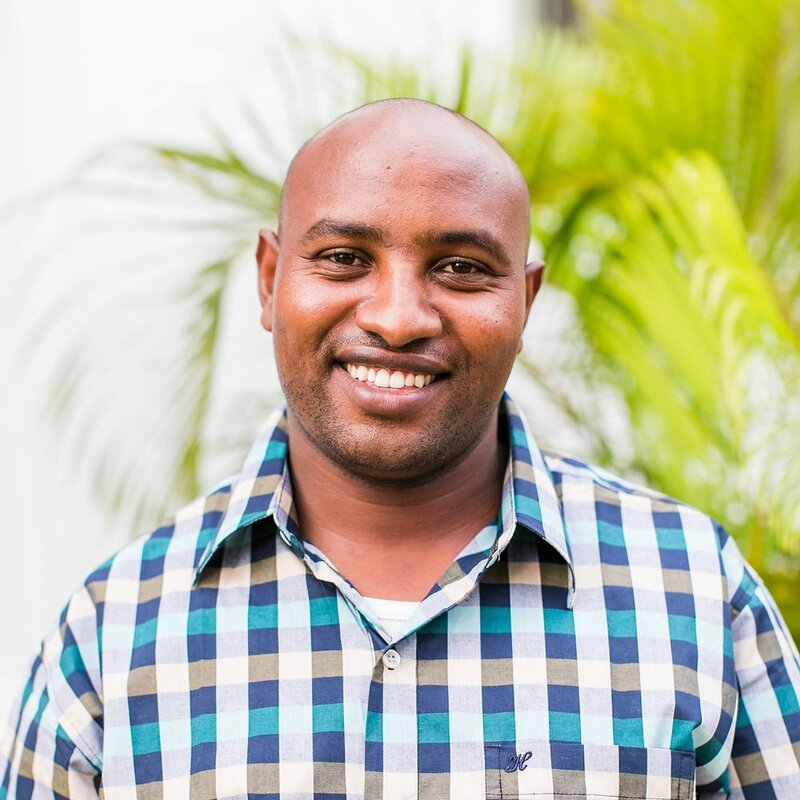 Bernard loves to give clients hope that they can make and achieve their dream even though they are HIV+. Ann joined the CARE for AIDS program in Kia-ndutu in the fall of 2018 when she was referred to the church through the local hospital. She has 3 children, 2 boys and one girl. Ann made many friends in the course of the nine-month program and she plans on continuing to meet together with them after graduation so they can encourage one another. Ann learned soap making, yogurt making, beadwork, and candle making in the economic empowerment seminars at Kia-ndutu, and she is already implementing those new skills in her small business so she can make more money to provide for her family. Join us in praying for Ann and her friends as they continue to grow in the Lord after graduation. Grace joined the program in 2014 after bearing years of depression and deteriorating health alone. In 2010, Grace’s husband discovered that he was HIV+. His response to his diagnosis was to take his own life by driving the family car into oncoming traffic. Grace’s oldest son was in the car with his father during the accident and survived, but is permanently disabled from the physical trauma. Grace began to care for him and her two other children as a widow and quickly fell into a deep depression. In 2012 Grace grew very ill and was tested for HIV. When she learned her status and disclosed it to her extended family, they abandoned her and her children to live alone. Because of her deteriorated physical health and inability to work, her children dropped out of school and began to beg and work odd jobs in order to pay for Grace’s medication and to support the family. By the beginning of 2014, Grace was completely bedridden. Early in the year Grace had been assigned a newly employed home care nurse from local health organization. 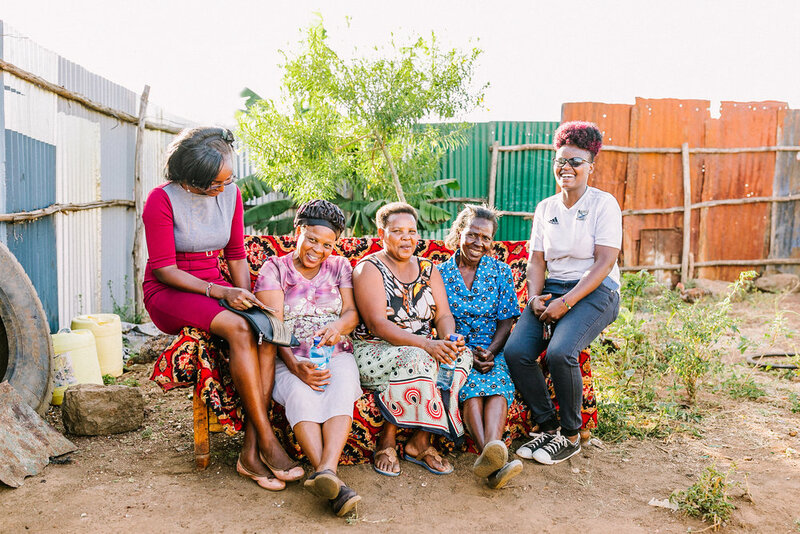 During the nurse’s first house call to Grace’s home, she confided to Grace that she, too, was HIV positive, but that she had recently gone through a program called CARE for AIDS that helped her manage her disease and connected her with her new nursing job. Grace joined the Kia-ndutu center that month and quickly succeeded in the program. Her health drastically improved thanks to the food rations she received at her counseling visits and she was able to quickly start a small business with the skills she learned in the empowerment seminars. Grace earns enough now to keep her children in school and her oldest son recently received a scholarship to attend a specialized high school in Nairobi. Grace reconciled with her mother and re-dedicated her life to Christ. She and her mother and children now attend Full Gospel Church regularly.